5 7/8 inches diameter x 4 7/8 inches tall tapers to 4 1/4 inches at bottom. Promotes great drainage, humidity and aeration. Clear plastic allows light and air into roots along with a 1 inch raised center helps eliminate stagnant water. 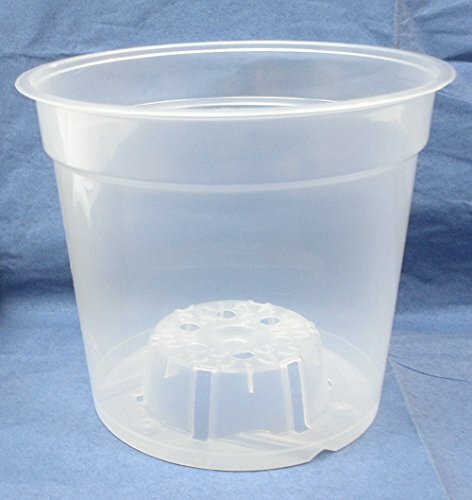 If you have any questions about this product by Clear Pots, contact us by completing and submitting the form below. If you are looking for a specif part number, please include it with your message.